made every book special and I immediately loved her writing. My columns for Sociologie Magazine, ‘Vergeten Sociologie’/’Forgotten Sociology’ are respectfully inspired by her special style. Her secret recipe? A combination of humour, ideals and permanent curiosity. 1. Humour, but without ‘Schadenfreude’, without delight in another’s misfortune. 2. Ideals, sincere and to be practiced. No abstract ideals, no collective pressure of any kind. 3. Curious, all the time, interested in all kinds of people. To me this recipe embodies the best combination of British and German intellectual traditions. May Poland, Europe and the world profit from its rich cultural capital! * my imperfect translations from Dutch and German. Wislawa Szymborka 1996. Die Gedichte. Wislawa Symborska 1975/1998. Onverplichte lectuur. Anna Bikont en Joanna Szcesna 2003/07 Prullaria, dromen en vrienden. 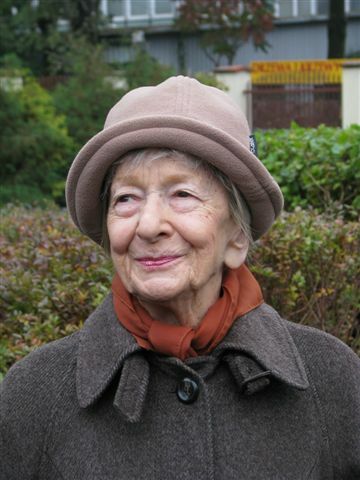 Wislawa Szymborska Biografie. 2003/2007.